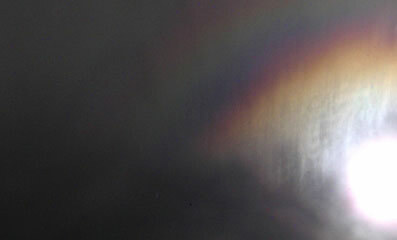 The rings of this partial corona taken by Cindy Yam in Hong Kong are elongated. The mean droplet size is changing along the cloud and so distorting the rings. 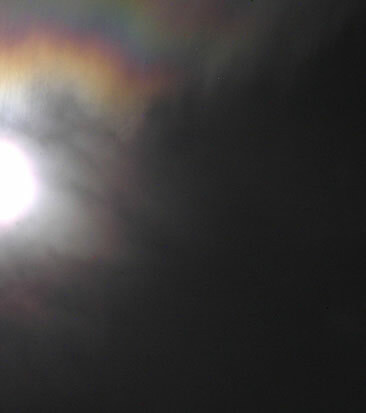 When the droplet size changes are more chaotic the corona becomes unstructured and we have instead an iridescent cloud. Image ©Cindy Yam, shown with permission.